One of baseball’s biggest scouting events, the Perfect Game Memorial Day Classic, returns to Lee County May 27-30. Lee County will host tournaments for 14-and-under, 16-and-under and 18-and-under teams. 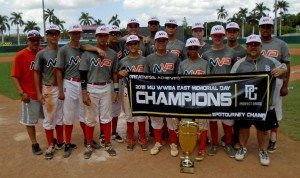 Approximately 160 baseball teams from across the nation will hit the fields in Lee County to compete in the WWBA classic, which is part of the Perfect Game’s wood bat division. Games will take place at JetBlue Park, the Lee County Player Development Complex, the Cape Coral Sports Complex, the CenturyLink Sports Complex, City of Palms Park and Terry Park, along with Charlotte Sports Park in Charlotte County. The Memorial Day Classic is expected to have a significant economic impact for Lee County, with last year’s event generating more than 7,000 room nights, $45,000 in bed taxes collected and $2.6 million in total economic impact, according to Jeff Mielke, executive director for Lee County Sports Development. Last year’s Memorial Day Classic featured 168 baseball teams from across the United States. 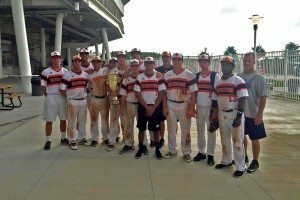 Last June, Lee County also hosted the Perfect Game 2015 National Showcase, which brought 320 incoming high school seniors from around the country. 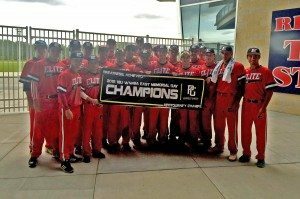 Perfect Game USA pr oduces the very highest national level individual player showcases and team tournaments all over the U.S., and Perfect Game events are followed closely by professional scouts and top recruiters. Close to 85 percent of the players end up signing with the top conferences and top programs in the country. In the history of the Perfect Game Memorial Day Classic, more than a dozen players who participated in the event have gone on to make their debut in the major leagues. Games begin at 10 a.m. Friday, May 27. A daily pass, with admittance to all games during that day, is available for $10 and a Tournament Pass is available for $25. For more information, visit www.perfectgame.org.